Call Canadian Vintage Landscapes Today! Invest into your beautiful landscape with superior designs, excellent craftsmanship, and fast-local service. We are Paving Stone masters and would love to do your walkways, patios, retaining walls. Along with paving stone we have a lot of experience with trees, shrubs, water features, and more. Our experience is vast and we have completed very large water-front projects with a mastery in stonework. 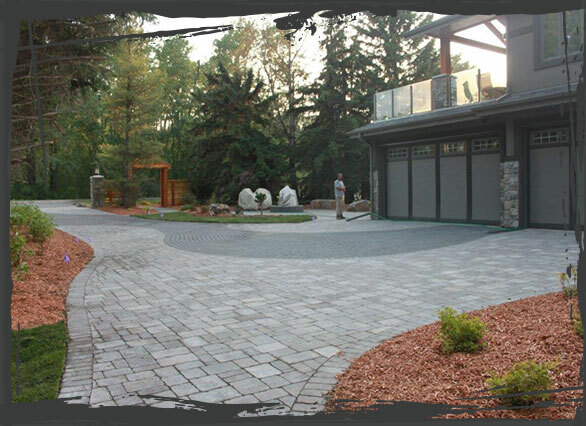 Call us for your next landscaping project in Spruce Grove. We are a full service landscaping company!